Moscow, December 14, Interfax - Patriarch Kirill of Moscow and All Russia sees dialogue with the Catholic Church as an opportunity to reduce persecutions of Christians across the world. “Evading dialogue with the Catholic Church now would be wrong: we defend the same values both in public and in private life. We need to establish such cooperation in the face of the non-Christian world as would enable us to multiply our own forces. Including what, I think, deserves positive treatment – our shared position on the situation in the Middle East,” the Russian Orthodox Church leader said at a meeting with representatives of the Youth Public Chamber and the Chamber of Young Legislators. The ousting of Christians from the region where their “whole villages are being either slaughtered or chased out” will lead to imminent radicalization of the Muslim population. “The presence of Christians in Islamic states forced their leaders to try to strike balances and provide rights for minorities; but if there are no Christians, there will no such concern either,” Patriarch Kirill said. 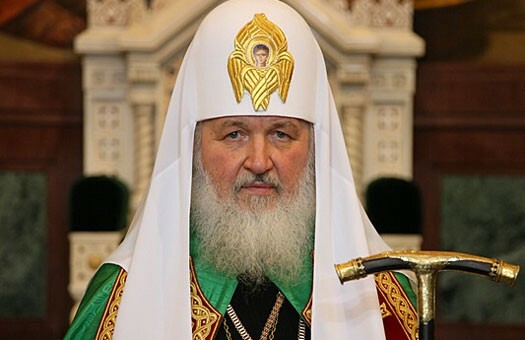 Christians are becoming a minority in the world: as a result of serious conflicts in Pakistan, in Asia and Africa, with one Christian dying in this world every hour for his convictions, while in the West “church and religion are being ousted from public life” under the influence of “ruling liberal doctrines,” Patriarch Kirill said. Cooperation with “the largest Christian Church,” the Catholic one, could help protect Christians and prompt the revival of Christianity “on global scale,” the church leader said. Nevertheless, cooperation cannot abolish the theological differences between the two churches, he said. Even assuming that such differences suddenly disappear and “theologians will sign everything,” even that is unlikely to change anything, because such agreements will have to be accepted by everyone who considers themselves an Orthodox Christian, and that is highly unlikely, Patriarch Kirill said.